There are 7958 listings today! I have sold over 400 Homes in Ada, Canyon and Valley County. I have worked with first time home buyers, real estate investors and land developers. This experience has given me the skills necessary to get you the best price when listing or purchasing your home. Make looking for a home easy. 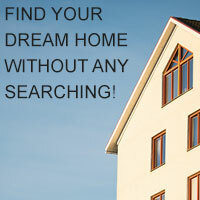 Search for any listed property in Boise Meridian Nampa Caldwell Eagle or Kuna area. Take a photo tours of local subdivisions in Boise Meridian Eagle Nampa Caldwell and view listed homes in the developments. Relocating to Southern Idaho, Boise Nampa, Meridian, Kuna, or Eagle? Fill out this simple form so that I can make your move easier! The more information that you can supply the more I can help you with your move.